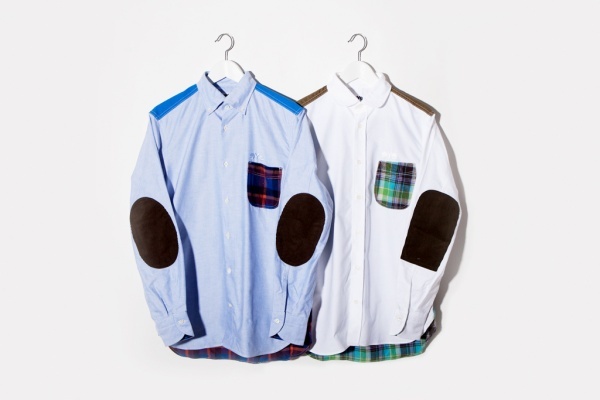 From Junya Watanabe eYe Comme des Garcons comes this beautifully whimsical ‘Patchwork Shirt’. Available in both the blue & white base-colors pictured, the shirt features contrasting plaid pockets, blocked shouders, & elbow patching. Overall, it’s a bold look that few designers – certainly Watanabe among them – can pull off. Available now at Comme des Garcons Hong Kong shop. This entry was posted in Dress Shirts, Tops and tagged Comme Des Garcons, eYe, Junya Watanab. Bookmark the permalink.